I've loved using tartans and plaids in my interiors ever since I moved back home to the Highlands almost thirty years ago. Not in the kitsch way you often see it in tourist establishments, plastered indiscriminately over walls, floors and furniture in rather garish colours, but rather as a reflection of the natural hues of our landscape, and a rooting of the Highland home within its cultural and historical context. My library of sample books is overflowing with these woolly checks, some in the traditionally muted hues of a Hunting or Weathered tartan and others in wonderfully bright 21st century colours, celebrating the autumn heathers, the sap greens of spring and the sparkling emeralds of the sea lochs in summer. 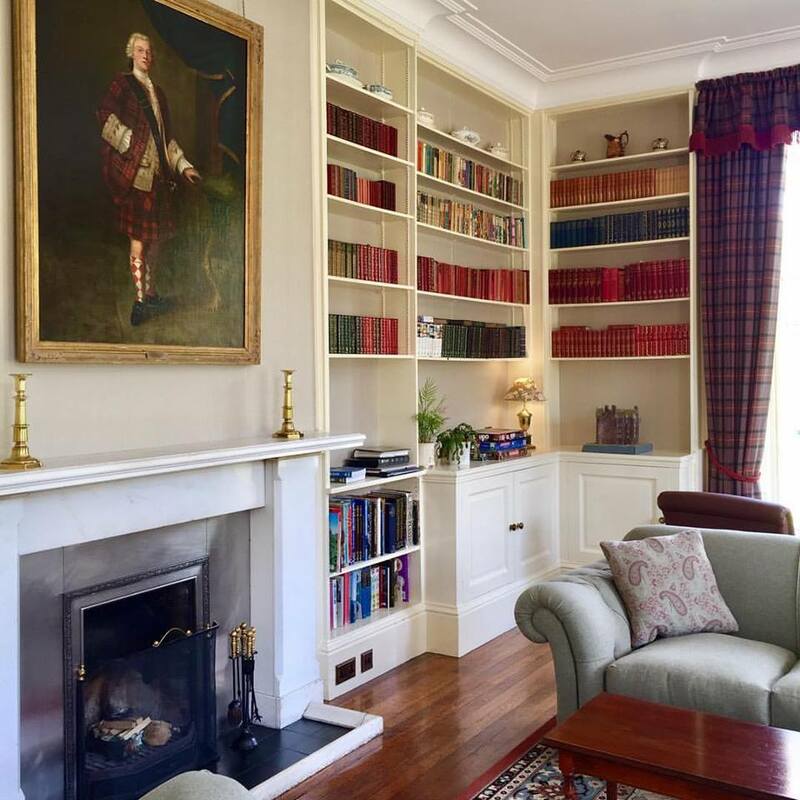 For the refurbishment of Glengarry Castle's library, it seemed appropriate to reflect some of the rich history of the area in the interior decoration - so where better to start than with the MacDonnell tartan...under the watchful eye of Alasdair Ruadh MacDonell of Glengarry from his lofty position above the fireplace.